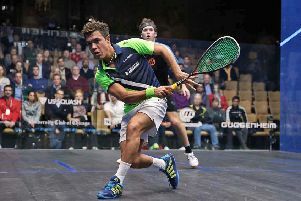 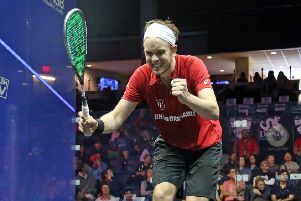 Harrogate's James Willstrop wrapped up his third British National Squash Championships title when he beat Daryl Selby in Nottingham. 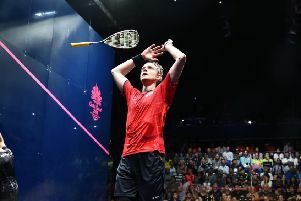 Harrogate’s James Willstrop struck gold for England at the 2018 Commonwealth Games. 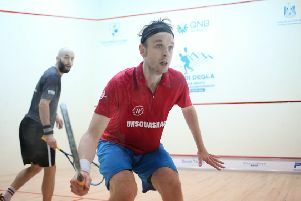 JAMES WILLSTROP came out on top against Chris Simpson as the Harrogate-based ‘neighbours’ took their rivalry to the Qatar Classic. 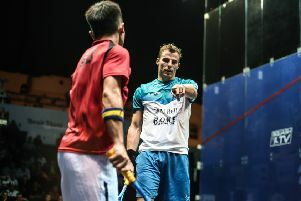 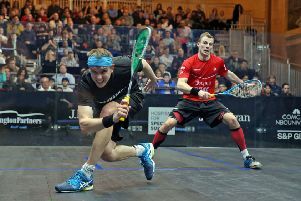 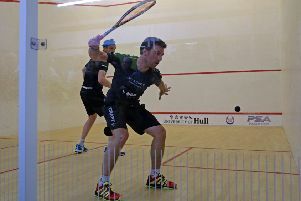 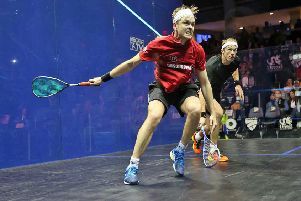 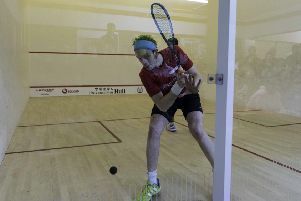 NICK MATTHEW maintained Yorkshire’s interest in the World Squash Championships after seeing off the challenge of Hong Kong’s Leon Au in the second round. 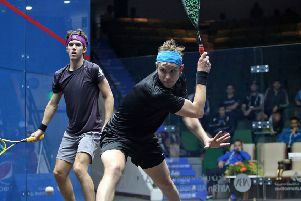 HARROGATE’S Chris Simpson is hoping to put previous World Championship disappointment behind him after easing through to the second round of the 2016 event in Cairo. 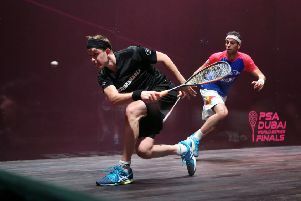 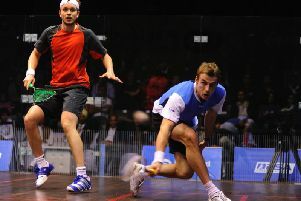 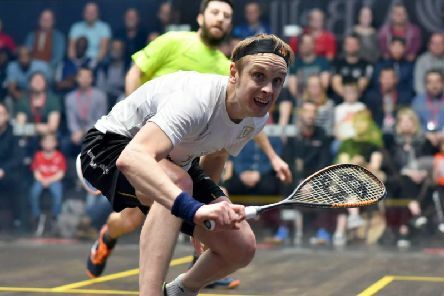 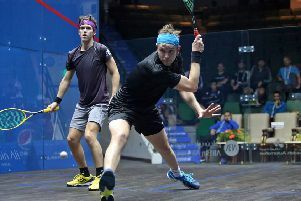 Yorkshire trio Chris Simpson, Nick Matthew and James Willstrop had contrasting fortunes in reaching the second round of the squash World Championships in Egypt. 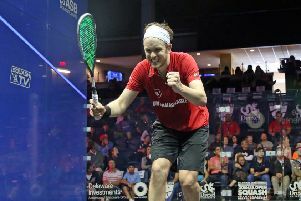 YORKSHIRE’S James Willstrop produced another stunning performance in Philadelphia to reach the quarter-finals of the US Open. 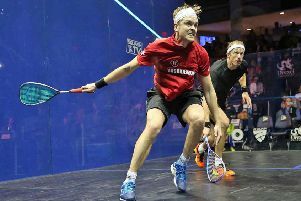 HARROGATE’S Chris Simpson admitted he had to call upon all of his “determination and willpower” in order to make it through to the second round of the British Open in Hull. 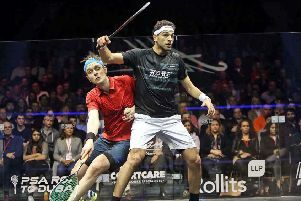 Harrogate’s Chris Simpson crashed out of the Windy City Open at the first hurdle after being out-gunned by No 4 seed Miguel Angel Rodriguez.